Blue John, also known as Derbyshire spar, a semi-precious mineral found only in certain caves around the village of Castleton, Derbyshire, England (close to where the author grew up). 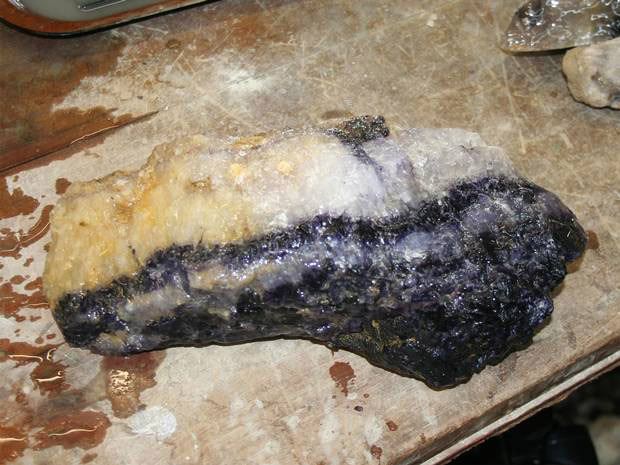 It is a form of fluorite with a unique purple-blue coloration. In Victorian times it was mined extensively for making ornaments and continues to be mined on a very limited scale in Blue John Cavern and Treak Cliff Cavern.